Come meet old friends and make new ones! 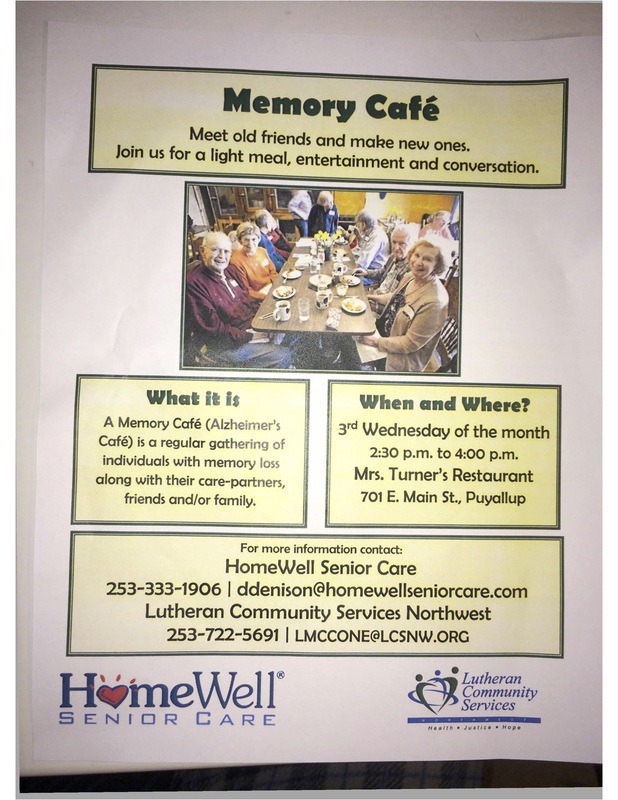 Join us for a light meal, entertainment, and conversation. 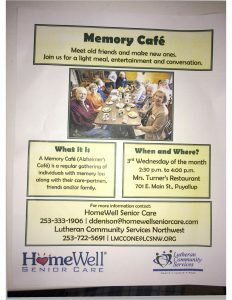 The Memory Cafe (Alzheimer’s Cafe) is a regular gathering of individuals with memory loss along with their care-partners, friends and/or family.